Everyone loves these boxes! I held onto one long enough to show just how gorgeous they are! They look beautiful on a coffee table, and you (and your guests!) can enjoy your images anytime! one for each year, each child, special events, you name it! 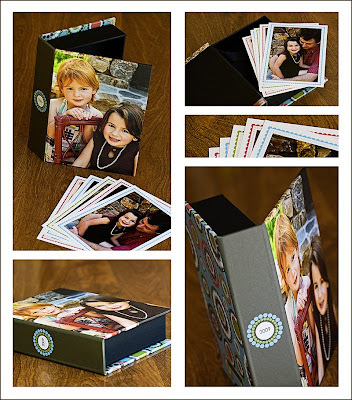 The box comes with 5 5 x 7 session images with coordinating borders. Complete session can be ordered. Click to to see detail.